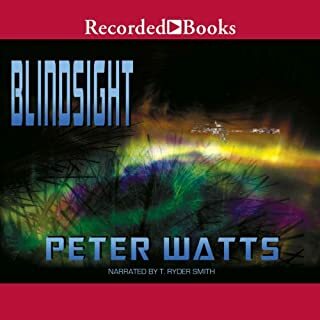 Set in 2082, Peter Watts' Blindsight is fast-moving, hard SF that pulls readers into a futuristic world where a mind-bending alien encounter is about to unfold. After the Firefall, all eyes are locked heavenward as a team of specialists aboard the self-piloted spaceship Theseus hurtles outbound to intercept an unknown intelligence. It's the eve of the 22nd century: a world where the dearly departed send postcards back from Heaven and evangelicals make scientific breakthroughs by speaking in tongues; where genetically engineered vampires solve problems intractable to baseline humans. And it's all under surveillance by an alien presence. Daniel Bruks is a field biologist in a world where biology has turned computational. How do you stage a mutiny when you're only awake one day in a million? How do you conspire when your tiny handful of potential allies changes with each job shift? How do you engage an enemy that never sleeps, that sees through your eyes and hears through your ears, and relentlessly, honestly, only wants what's best for you? Trapped aboard the starship Eriophora, Sunday Ahzmundin is about to discover the components of any successful revolution: conspiracy, code - and unavoidable casualties. 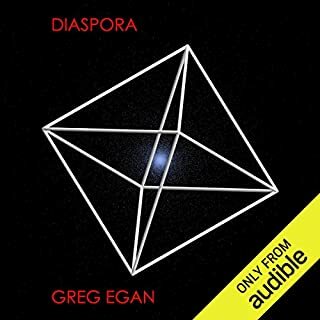 In a moving story of sacrifice and triumph, human scientists establish a relationship with intelligent lifeforms - the cheela-living on Dragon's Egg, a neutron star where one Earth hour is equivalent to hundreds of their years. The cheela culturally evolve from savagery to the discovery of science, and for a brief time, men are their diligent teachers. The Singularity. It is the era of the posthuman. Artificial intelligences have surpassed the limits of human intellect. Biotechnological beings have rendered people all but extinct. Molecular nanotechnology runs rampant, replicating and reprogramming at will. Contact with extraterrestrial life grows more imminent with each new day. Tchicaya abandoned his home world four thousand years ago to travel the universe, freely choosing, as have others of his bent, to endure the hardships of distance and loneliness for the sake of knowledge and experience. Aboard the Rindler, a starship trawling the border of the all consuming novo-vacuum, he feels his endless life has new purpose. For the Rindler is the center for the scientific study the phenomenon - a common ground for Preservationists and Yielders alike, those working to halt and destroy the encroaching worlds-eater…and those determined to investigate its marvels while allowing its growth to continue unchecked. Tchicaya has allied himself firmly with the latter camp. The passing decades - and inevitable expansion of the void - widen the great rift between the two factions, intensifying what was once simply ideological differences into something more angry, explosive, and dangerous. And the arrival of Tchicaya's fiery first love, Mariama, and her immediate embracing of the Preservationist cause, intensifies an inner turmoil he has been struggling with since his distant childhood. But everything onboard the Rindler - and, ultimately, in the inhabited universe itself - is on the cusp of further cataclysmic change, as the Yielders' explorations threaten to transform discord into violent action and potential xenocide. For new evidence suggests that something unthinkable is developing at an astounding rate deep within the mysterious, 600-light-years-wide void - something neither Tchicaya and his compatriots nor Mariama and hers could ever have imagined possible: life. 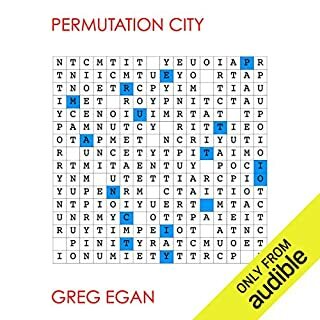 ©2013 Greg Egan (P)2013 Audible Inc. If you can say the phrase "That's just elementary quantum mechanics" with a straight face, you will probably find this book to be a fun (if somewhat predictable) romp through some amusing "big-think" physics concepts, with an admirable level of rigor. (There's no faster-than-light travel, for example.) 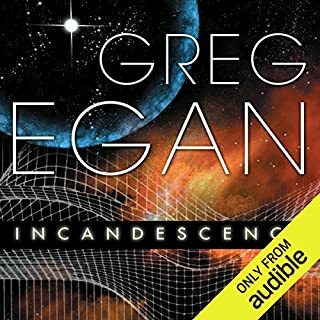 If you enjoy playing "what-if" with systems of fundamental laws of physics, you'll probably enjoy the twist that Egan comes up with. However, if you are a little overwhelmed by phrases like "tetravalent graph", "complex spatial dimension", or "superposition state", you may find this pretty heavy going, with less reward in characterization or plot development. The "hook" of this book is the speculation on its universe, while the characters primarily serve as a vehicle to deliver the reader a tour of the author's vision. As usual, Paul Boehmer's narration is fine, and he serves up the weighty dish of quantum terminology without breaking a sweat. 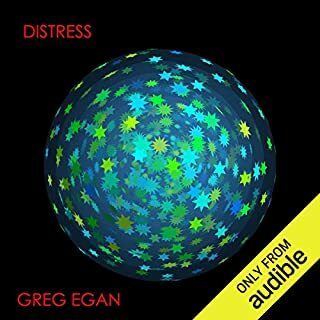 Greg Eagan is a programmer, but he sure could fool me into thinking he's a theoretical physicist. Really enjoyed the science. Was looking forward to listening to more of his books. The ones I'm especially interested in are narrated by Adam Epstein. Mr. Epstein has received some very negative reviews. But I REALLY wanted to listed to those books. I thought, "Well he may not be great, but it can't be so bad that I'd not enjoy the book." Listened to samples. He was WORSE than the reviews. (Sorry, Mr. Epstein.) I couldn't even get through the sample, never mind a book! Terrible. I simply cannot buy those other books. I strongly suggest you don't, either. 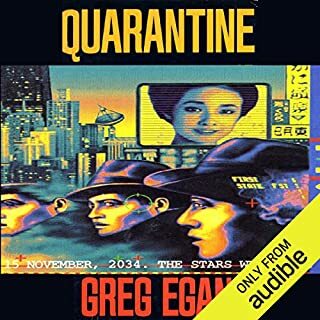 Enjoyable hard science fiction. It goes off on long descriptions of made up physics that many people say they've found intimidating. Being fluent in theoretical physics certainly makes this book easier to read. A science experiment creates a void that starts destroying the galaxy. Everyone tries to find out how to stop it. I think hard science fiction is a bit of a misnomer. It's hard as in difficult, but not hard as in taking fewer liberties with physics. 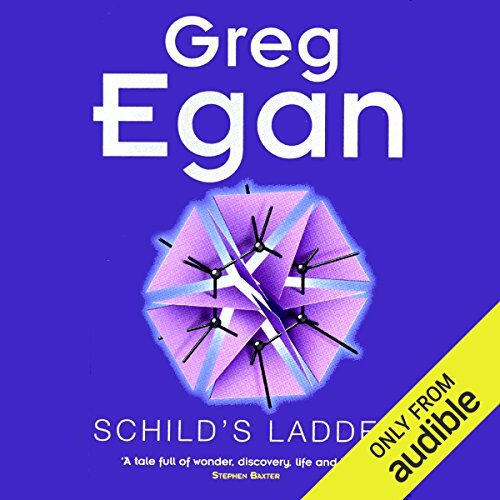 Why does Greg's books get sandbagged by the worst narrators on offer? I bought this book because it wasn't one of his narrated by Adam Epstein thinking it couldn't possibly be as bad. I was right, it wasn't as bad, but close enough. Narration is bad when it pulls you out of the story. Narration is really bad when you can't even get into the story it's so distracting. This is really bad narration. Never have I done so much fun research. I found myself being introduced to new mathematical and scientific concepts, these concepts are vast I quickly found. If you like to learn while being involved in a story, then please get this. If you want to just sit back and relax, this is great too, having a deep and precise understanding of these concepts is not an issue because they are presented in fashion that does not need a 'devout learned experience'.